The summer of 2018, farmers will remember for a long time. This harvest was not long ago. Kuban farmers are not overjoyed, because already collected hundreds of thousands of tons of fruits and vegetables. There’s about the same amount left. Moldova’s agriculture also sets records. Here the grape harvest reached 600 thousand tons. Harvesting berries are now in full swing, told the correspondent of “MIR 24” Elena Kirka. Big, full of berry juice, even now can be cast under the press. The grapes are ripe for two weeks ahead of schedule, so the workers are in a hurry to clean. If time does not have time, the clusters will dry on the branches. “The grapes are good, very good. I do not remember when such a good harvest was. I think this year will exceed the plan, ” – said the employee of the vineyard Akulina SIMA. Such a rich harvest of grapes in the country was not 40 years. During the season, farmers want to collect more than 600 tons. Bet on red varieties – their productivity increased by 15%. From one hectare workers collect up to 10 tons of grapes. This year, the most productive are considered to be red technical varieties-they will make a great wine. But there are not enough workers. Early white varieties Sauvignon and Chardonnay fetsko – clean combine. For one hour – one hectare. “Combine replaces the work of two hundred people. The machine collects the berries, clusters of grapes remain on the plant, product quality is not affected. Over time, we think about moving to full mechanization,” said the head of the viticulture ion Ursu. Experts say this year’s grapes are sugary, and it can play with wine a cruel joke. If we allow even the slightest violation of technical processes, red wines will be heavy, and white-not dry enough. “There will be, in my opinion, some problems with acidity. Especially those who want to make wine materials for sparkling wines from Sauvignon, Riesling. By acidity they will be lower than normal because the heat burns the acidity in grapes“, – said the Director of the National Bureau of grapes and wine George Arpentin. 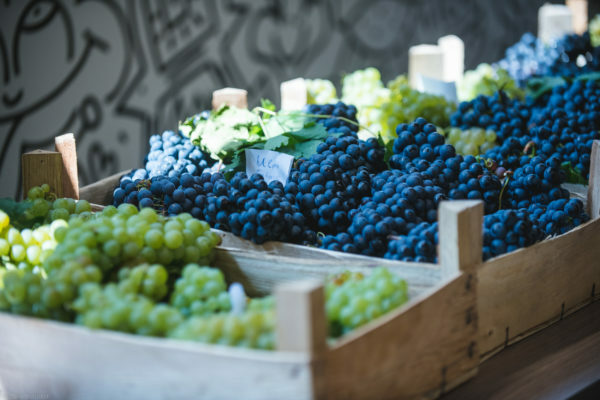 Moldovan consumers will get only 15% of the new wine harvest. Everything else will be exported to Poland, Romania, Czech Republic, Russia and China.